The Magic Leap is one of the most anticipated augmented reality headsets. The company plans to offer a variety of units for both consumers and professionals. The company’s headsets will allow you to interact with virtual elements overlaid on the real world, creating a unique experience. Magic Leap has kept its plans close to the vest, but late last year finally shed some light on what it will deliver to the marketplace. The augmented reality googles attach to a small pack that you wear around your belt, which houses the CPU and GPU. The company has been shy about sharing details on the apps that will support the technology, but on Tuesday said that it had partnered with the NBA. According to The Verge, which earlier reported on the NBA partnership, the app will see Magic Leap collaborate with the league to create digital basketball games that you can watch from the headset. NBA legend Shaquille O’Neal pitched the concept to those in attendance at the Code Media conference. He said that he played the game and saw himself during a “full court game” standing next to Lebron James. Magic Leap One will have some mobility built in, it doesn’t need to be tethered to a phone or computer to work, but you’ll be able to pair it to your phone with technology such as Bluetooth, Abovitz said. A telco partnership hints at Magic Leap being serious about tackling the thorniness of taking mixed reality outdoors. By adding a cellular connection, the headset could potentially work outside and on its own, much like a connected smartwatch. 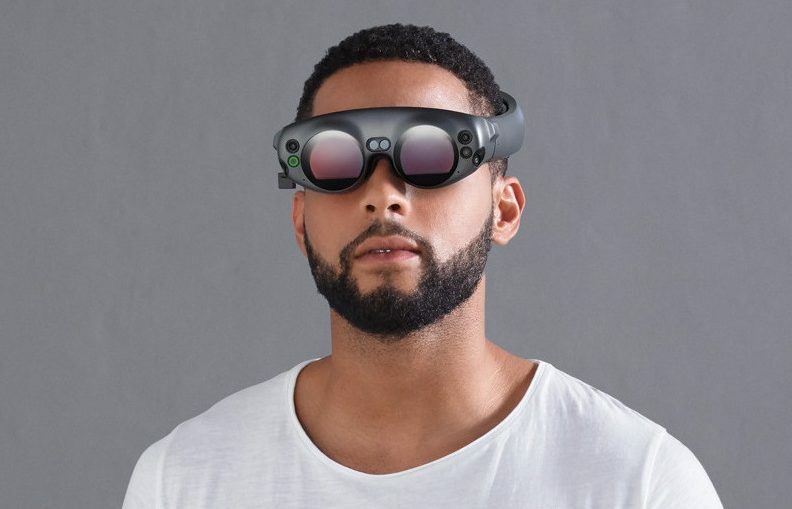 Abovitz said Magic Leap One — ML1 in the company’s shorthand — is being designed to work best indoors, but the subsequent iteration will be suitable for indoor and outdoor use. The company wants to “get indoors right” first, he said. Likewise, partnering with a big wireless provider could mean Magic Leap’s products could eventually show up at thousands of carrier retail stores, giving consumers a convenient way to try out the products. One of the challenges of mixed- and virtual-reality products is that it’s hard to get the value across without actually experiencing it for yourself. Abovitz plans to announce battery life capabilities when the product is released. It can operate on a battery or plugged into a power source. Although you could wear it all day, he’s not encouraging anyone to do that. Magic Leap has confirmed that it will start releasing its headsets this year, though the company has balked at providing an exact release date. The company is planning to release more information on the device in the coming months.